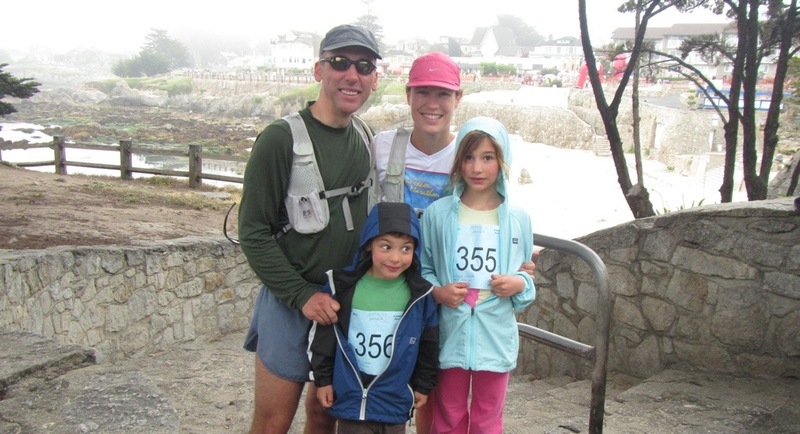 A beautiful prelude to the Big Sur International Marathon, my family ran the untimed 3k fun run this morning. 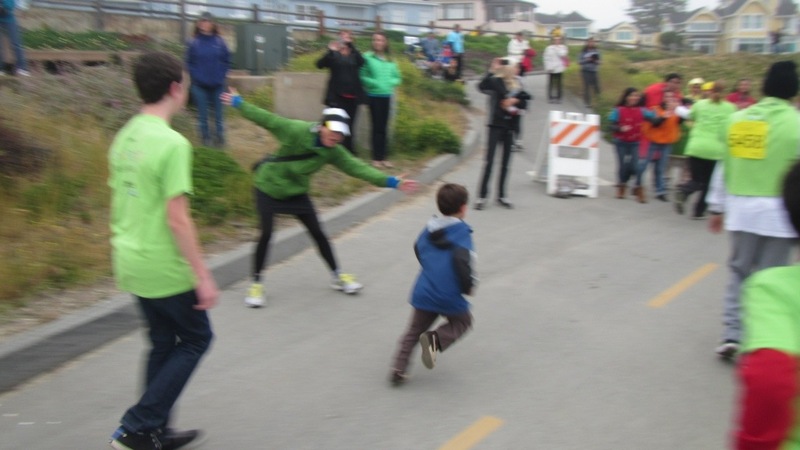 Camera in hand, I thoroughly enjoyed a chance to run with our kids along the scenic Monterey Bay. 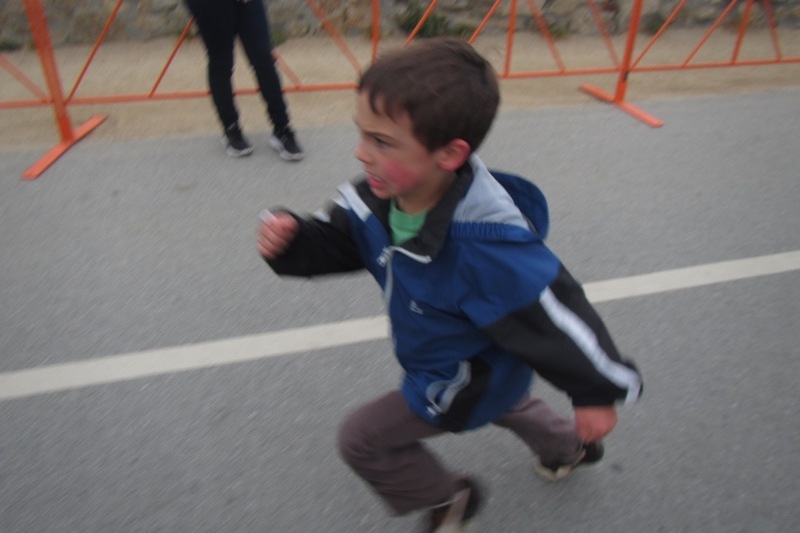 In classic 6-year-old fashion, Alex employed the sprint-walk pacing method. 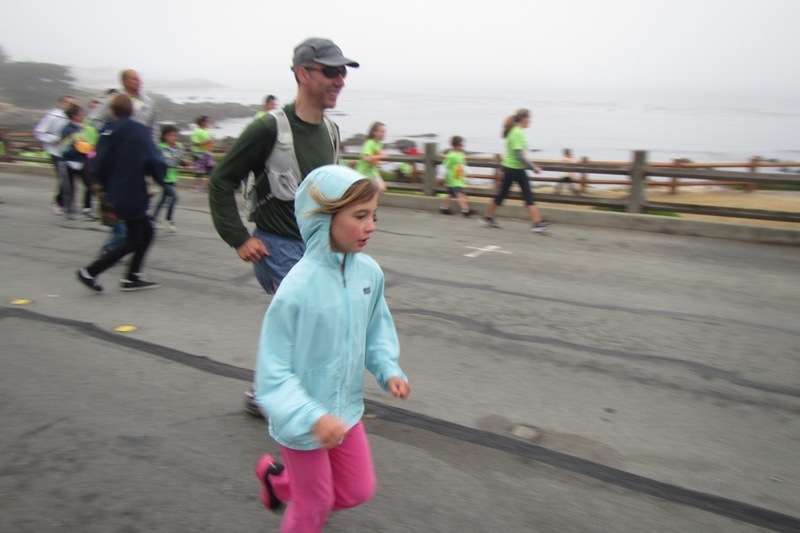 Clara, our 8-year-old, provided a sharp contrast as she ran easily and steadily the entire distance. The sea-level air went down like liquid oxygen for our little Truckee-Tahoe runners. Alex took off with a sprint after the start, weaving in and out of other runners at full-throttle. Thankfully, his very short legs are still easy enough for me to chase. Big sister and Daddy passed us not too long after our second walk break. Now, Clara has been training for a 5k run with our local Girls on the Run program. She cruised by smoothly and confidently. “Are you tired?” I asked. “No, not at all!” Clara and my husband finished up the run and proceeded directly to the local coffee house in Pacific Grove. The run starts and finishes at Lovers Point Park on the shoreline of the Monterey Bay. It is an out-and-back course that heads away from Pacific Grove on Ocean View Blvd., then turns around at the American Tin Cannery in Monterey. Runners return on the paved bike path, where each finisher passes through the finish arch and receives a medal. Volunteers presented adults and kids with separate medals. The kids’ medal was super-cute, but actually a rubberized shoe cut-out. Alex immediately demanded to to know why his medal was not made of “metal.” I happily offered him my “adult” medal and we proceeded to the coffee house. The announcer reported that 3500 runners (kids and their adult running buddies) were set to participate in this morning’s event. The run is part of the award-winning JUST RUN program that promotes fitness and healthy lifestyles in grades K through 8. Some 35 school groups participated in the program. It was a fun and well-organized event, with all the bells and whistles of a formal adult race, including a four-wave start. Pre-registered runners had their names printed on their bibs. We registered on race morning, and were still treated to adorable race t-shirts featuring a “jogging jellyfish.” A race announcer entertained and informed the crowd and the course was well-contained with barriers and fancy start and finish arches. Love your post! Hope your Sunday run was as enjoyable as the JUST RUN! Just Kids 3K. Love it!!! Looks like you guys are having a great time!!!! Back at ya, R! I know you’ll keep us updates on YOUR adventures!